Vidya Stokes extends support to Virbhadra Singh, will rest follow? Nov 19, 2012The News HimachalBreaking News, PoliticsComments Off on Vidya Stokes extends support to Virbhadra Singh, will rest follow? As the days for the vote counting are approaching with each passing day, political upheavals are coming to fore. On one hand, Kaul Singh Thakur, a self proclaimed contender for the post of Chief Minister in Himachal, has already opened front against Virbhadra Singh in many of the press releases he held in the state wherein he has clearly shown the aspirations to become CM. However, on the other end, Vidya stokes, once arch rival of Virbhadra Singh, has now has extended her support to him. She stated that though the decision of party high-command will be final, but if she will be asked for the opinion she will support Virbhadra Singh for the Chief Minister. She lauded the contribution of Singh in this election and stated that he worked hard to regain power in state. This is a first time in the last three decades, when Vidya Stokes, a Chief Minister aspirant, has openly supported Virbhadra Singh for the top post. In the recently concluded assembly poll, state Congress has experienced result threatening in-fighting, when party leaders and workers were divided into many camps. Though few weeks prior poll, party high-command succeeds to end the in-fighting, but many leaders alleged conspiracy in the election. 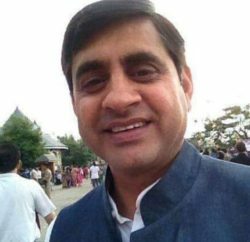 Senior Congress leader Kaul Singh Thakur indirectly blamed Virbhadra Singh for campaigning against him and alleged that senior leader had projected independent candidates against him in the poll. Kaul Singh even tried to sideline the Virbhadra Singh over the corruption allegations against him and even claimed that Sonia Gandhi won’t budge over the party’s stand of zero tolerance for corruption. Virbhadra Singh had not bothered to respond over it. Apart from Kaul Singh Thakur, GS Bali, Vidya Stokes, Anand Sharma and senior leader Brij Bihari lal Butail are the front runner for the top post.